As the Cold War escalated in the 1950s and ’60s, the federal government directed billions of dollars to American universities to promote higher enrollments, studies of foreign languages, and especially scientific research. 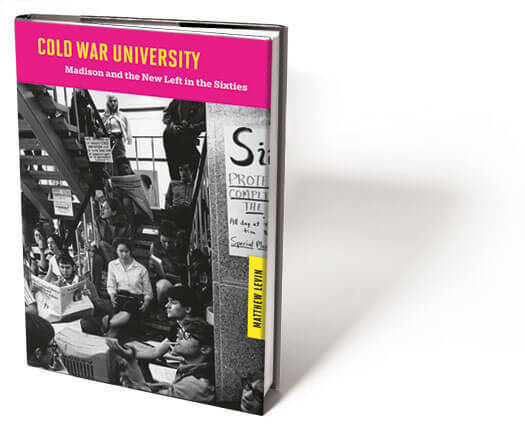 In Cold War University: Madison and the New Left in the Sixties (University of Wisconsin Press), Matthew Levin MA’01, PhD’09 traces the resulting paradox: higher education became increasingly enmeshed in the Cold War struggle, while college campuses became centers of opposition to Cold War policies. The author examines how the UW tolerated political dissent, even at the height of McCarthyism, and charts the emergence of an intellectual community that encouraged new directions in radical politics. He notes that the 1966 draft protests, the 1967 demonstrations against Dow Chemical, and the 1970 Sterling Hall bombing are Wisconsin threads that have been woven into the fabric of the 1960s. Levin teaches high school social studies in McFarland, Wisconsin. 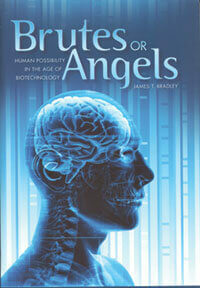 From James Bradley ’70, the Mosley Professor of Science and Humanities emeritus at Auburn [Alabama] University and the former director of the Human Odyssey Program, comes Brutes or Angels: Human Possibility in the Age of Technology (University of Alabama Press). 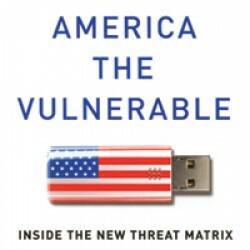 He contends that the thoughtfulness — or lack of it — that humankind brings to decisions rendered necessary by technology will “determine the future character of the living world.” Bradley’s book enables informed choice-making about ten biotechnologies that greatly affect humans, and it assists in the formation of public policies governing their development and use. As a veteran reporter and editor, Mary Papenfuss ’75 has been praised for her impeccable reporting and first-class writing and has now applied these strengths to a subject — true crime — that she knows very well. 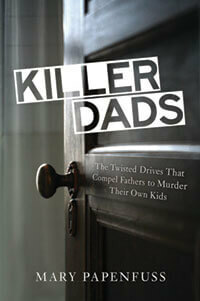 In Killer Dads: The Twisted Drives That Compel Fathers to Murder Their Own Kids (Prometheus Books), Papenfuss adds motivational analyses and sociological context to the gripping and heartbreaking stories that she reports in depth, and explores solutions to prevent future horrific acts. “While the motives range from flaming rage to belief in possession,” she observes, “all the outcomes are tragic.” Papenfuss has worked for the New York Daily News , the New York Post , the Associated Press, People magazine’s London bureau, and Salon , and is currently an editor at KCET Link TV in Burbank, California. 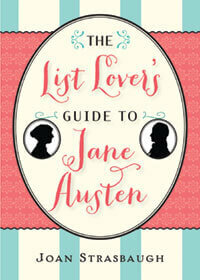 Do you love Jane Austen? Are you an organized list-maker? If your answers are yes, then The List Lover’s Guide to Jane Austen (Sourcebooks) will be more heavenly to you than a buttered scone. Author Joan Strasbaugh ’75 arranges the well-known facts, little-known minutiae, and surprising details of Austen’s life into tidy lists within one handy, fun, and (if we may be so bold) pretty reference guide. Janeites are almost certain to learn something new about their favorite “sassy literary genius” (and may win Austen trivia contests as a result). Strasbaugh, a senior editor at Abbeville Press in New York City, has edited and published four previous titles on — in her opinion — the greatest novelist of all time. 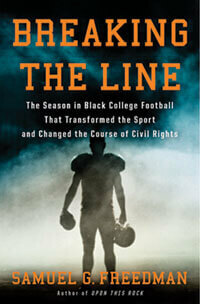 Breaking the Line: The Season in Black College Football That Transformed the Sport and Changed the Course of Civil Rights (Simon & Schuster) chronicles events in September 1967, when Louisiana’s Grambling College and Florida A&M — led by two legendary coaches and two star quarterbacks — battled for the black college championship. In his seventh book, author Samuel Freedman ’77 traces the rise of these four leaders and their teams as they helped to compel the segregated colleges of the South to integrate their teams and redefine who could play quarterback in the NFL, be a head coach, and run a franchise as general manager. Freedman is a New York Times columnist and a professor at Columbia University’s Graduate School of Journalism. Addressing deforestation as a key source of greenhouse gas emissions and climate change, policy-makers have endorsed public and private initiatives for reducing emissions from deforestation and forest degradation (REDD). 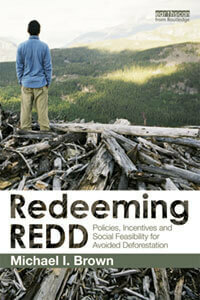 Michael Brown MA’78’s new book, Redeeming REDD: Policies, Incentives and Social Feasibility for Avoided Deforestation (Routledge), critiques the aims and policies of REDD as they stand now, contends that they are unrealistic and implausible, and provides a roadmap for developing a new social contract that puts people first. Brown is president of Satya Development International in Washington, D.C. If you’ve had young children in your home, you know the vigilance it takes to ensure that metal forks and electrical outlets don’t make each other’s acquaintance. 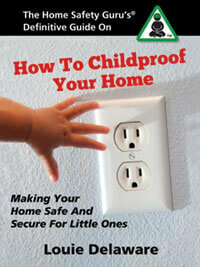 Keeping kids safe is also the goal of Louie Delaware (Louis Delahuerga, Luis De La Huerga) ’83, who’s written The Home Safety Guru’s Definitive Guide On How To Childproof Your Home: Making Your Home Safe And Secure For Little Ones (Blue Indigo Publishing). He discusses which products to use, how to install them properly, and what not to overlook. Following a career in research and development of medical and analytical devices (for which he earned many patents and awards), Delaware, of Louisville, Colorado, is now an Advanced Certified Professional Childproofer and the founder of US Safety Pros. Jody (Jo Anne) Filipczak LePage MA’91, PhD’98 met Sylvia Bell White in 1973 when both were selling vegetables at a farmers’ market in Madison. 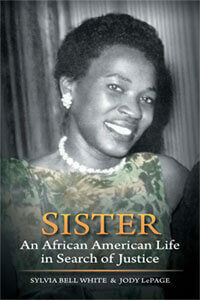 Out of the friendship that developed, independent historian LePage teamed up with White to write Sister: An African American Life in Search of Justice (University of Wisconsin Press). It’s the story of the White family’s move to Milwaukee from Louisiana in the 1940s with hopes of escaping racism as well as White’s dreams of a nursing career. When a Milwaukee police officer killed her brother Daniel in 1958, the family suspected a racial murder but could not prove it until twenty years later, when one of the two officers involved came forward. The family filed and won a four-year civil-rights lawsuit, with Sylvia Bell White as the driving force behind its quest for justice. 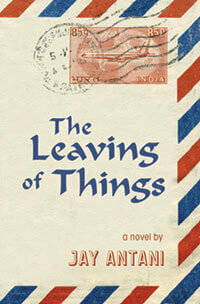 The Leaving of Things: the title of the debut novel by Jay (Jaidev) Antani ’93 has a lovely ring to it, and it was a quarterfinalist in this year’s Amazon Breakthrough Novel contest. Set in the late ’80s, it follows an Indian-American teenager living in Madison whose family moves back to India. Culture shock and teen angst result, along with the revelation that “while India is his soul, America is his heart, the land of his destiny.” The Leaving of Things began as Antani’s thesis in the graduate writing program at USC, and now he’s published it via his own indie imprint, Bandwagon Press. 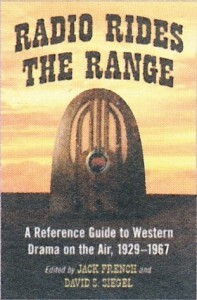 The author is a Culver City, California-based fiction writer and film critic. 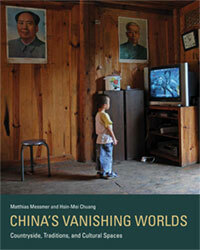 For Hsin-Mei (Evelyn) Chuang MA’02 of Tainan, Taiwan, the culmination of seven years of extensive travel, exploration, and documentation of rural China was a book called China’s Vanishing Worlds: Countryside, Traditions, and Cultural Spaces (MIT Press), which she co-authored. It captures “modernization’s effect on traditional ways of life” and offers “a sympathetic portrait of lives burdened by hardship but blessed by simplicity and tranquility” — one that is changing, as the next twenty years will see an estimated 280 million Chinese villagers become city dwellers. Chuang is a researcher, cultural manager, and writer. Andrew Archer ’05, MSW’09 of Mankato, Minnesota, has written Pleading Insanity (Archway Publishing/Simon & Schuster), a poignant memoir about how, as a twenty-year-old college student, he seemed to have it all — sitting atop the dean’s list with a beautiful girlfriend by his side. Below the surface, however, he was actually living “inside a hellish prism” of bipolar disorder, which led to substance abuse, depression, suicidal thoughts, mania, and delusions, and put him in a psychiatric unit. 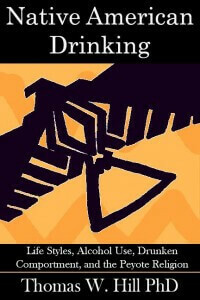 Now, following treatment, Archer aspires to correct common misperceptions, build awareness, and provide hope to others. 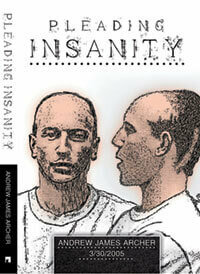 UW professor of psychology Lyn Abramson has endorsed Pleading Insanity . 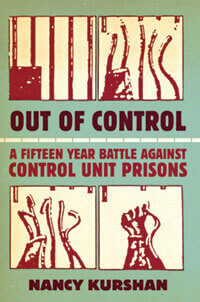 “My book about … attempting to reform U.S. prison conditions was published this year,” writes Nancy Kurshan ’65 of Chicago about Out of Control: A Fifteen Year Battle Against Control Unit Prisons (Freedom Archives). It documents the struggle by the Committee to End the Marion Lockdown (CEML) to challenge the practices at Marion Federal Prison in Illinois; to oppose the proliferation of control-unit prisons (“supermax” facilities — those with the most secure levels of custody) across the U.S.; and to focus attention on what the committee asserts is the racist and inhumane nature of incarceration in America. Kurshan is a CEML co-founder. 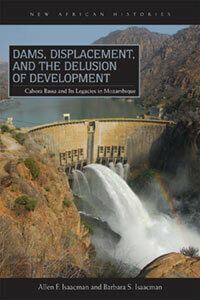 Dams, Displacement, and the Delusion of Development: Cahora Bassa and Its Legacies in Mozambique: 1965–2007 (Ohio University Press) is co-authored by Allen Isaacman MA’66, PhD’70 and Barbara Sheppard Isaacman MA’67. It’s the history of the Cahora Bassa Dam on the Zambezi River, once the world’s fifth largest mega-dam, built in the early 1970s during the final years of Portuguese rule and a turbulent era of decolonization. 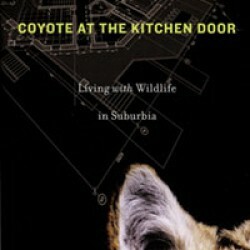 The authors contend, however, as one reviewer put it, that the project “resulted in cascading layers of human displacement, violence, and environmental destruction.” Allen is the Regents Professor of History at the University of Minnesota and Extraordinary Professor at the University of Western Cape, and Barbara is a retired criminal defense attorney who taught law in Mozambique at the Universidade Eduardo Mondlane. The couple lives in Minneapolis. The National Institute of Mental Health reports that 90 percent of people’s fears and inquietude concern “insignificant issues” that affect their daily living nonetheless by manifesting in compulsive behaviors, addictions, and dysfunctional relationships. 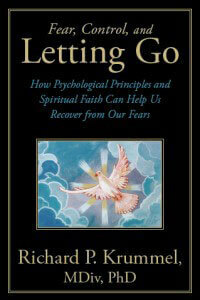 Richard Krummel ’68, an ordained minister and a private-practice psychologist in Houston, offers tools for recovery, transformation, and living a more healthy and productive life in his new book, Fear, Control, and Letting Go: How Psychological Principles and Spiritual Faith Can Help Us Recover from Our Fears (WestBowPress). Introspective Stargazing: Part One, Upbeat Determinism: Reflections on Free Will, Ethics, God, and Immortality (Infinity Publishing) is David Norenberg MD’70 ’s “progression of philosophical essays.” While he admits that he has done nothing to distinguish himself as an authority, he also reasons that no academic achievement establishes a person as an expert on the great unknowns. Therefore, the La Crosse, Wisconsin, resident contentedly ponders the big questions and enjoys writing about how religion, ethics, and free will are all interrelated. What’s Ahead? 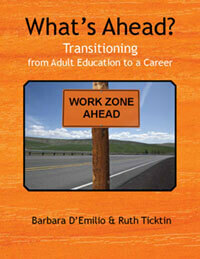 Transitioning from Adult Education to a Career (Pro Lingua Associates), co-authored by Ruth Ticktin ’74, helps adult students who are leaving English-language or GED programs to explore six career fields where job growth is expected; offers discussions and tasks to help clarify skills, needs, and interests; and provides a teacher’s handbook to supplement the text. Ticktin’s own education-focused career has led her to Washington, D.C., where she teaches English to speakers of other languages in an adult-education program. Knowledge gleaned over twenty-eight years with the Internal Revenue Service went into Michael Gregory MS’79’s How to Work with the IRS: Strategies for Attorneys, Accountants & Appraisers — which was so well received that he garnered dozens of speaking engagements and wrote a second book, Business Appraisals and the IRS (both Birch Grove Publishing). 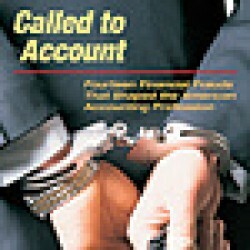 The author has worked in numerous IRS positions, the last of which was territory manager with jurisdiction over twenty-three states. He’s now the chief manager of Michael Gregory Consulting in Roseville, Minnesota. Jack (John) Butler PhD’81’s collection of original writings by Dr. Murray Bowen between 1954 and 1959 has been called a “goldmine” for students of the pioneering Bowen family systems theory. If you’re such a student, don’t miss The Origins of Family Psychotherapy: The NIMH Family Study Project (Jason Aronson). Butler, the work’s editor, highlights Bowen’s groundbreaking notion of the family as an emotional unit, his development of family psychotherapy, and the emergence of a new role for the therapist. Butler maintains a private practice at Rose Street Mental Health Care in Wichita Falls, Texas. 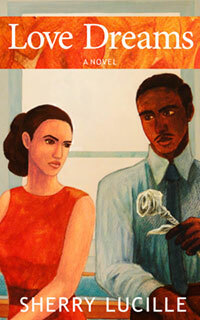 Love Changes and Love Dreams (both Inspiring Destiny Press) are the first two installments in a trilogy that explores interracial relationships and love in all of its facets in 1969, primarily on Chicago’s south side. These books grew out of Madisonian Sherry Lucille ’82, MS’88’s passion for telling stories and her experiences working with youth as a school counselor and dance teacher. Lucille “adores helping young people to understand that their lives are precious, meaningful, and have purpose,” and her writing conveys this message. Lucille is also a certified life coach, public speaker, workshop leader, and a member of the SisterSpeakOnline authors’ ring. 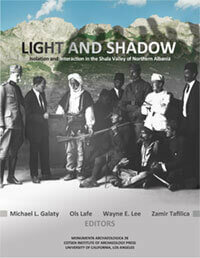 Ten years of research in the high mountains of northern Albania have gone into writing Light and Shadow: Isolation and Interaction in the Shala Valley of Northern Albania (Monumenta Archaeologica), co-edited by Michael Galaty MA’94, PhD’98. Using survey archaeology, excavation, ethnographic study, and multinational archival work, the research attempts to understand the malësorë — the highlanders who live there — in the full complexity of their lives and to honor how they serve as role models for our modern age. 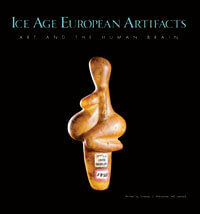 Galaty teaches in the Department of Anthropology and Middle Eastern Cultures at Mississippi State University. 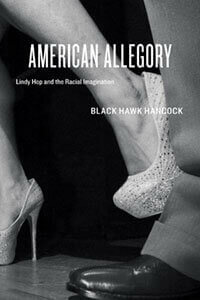 Black Hawk Hancock MS’98, PhD’04, a DePaul University assistant professor of sociology, has published American Allegory: Lindy Hop and the Racial Imagination (University of Chicago Press). One reviewer calls it a “rich and intricately detailed ethnography of the distinct worlds of lindy hop and steppin’ … a guide to the ways in which cultural expressions have come to occupy separate racial and spatial realms and how this apparent segregation of race, culture, and identity is practiced in the United States today” as new forms of cultural appropriation continue in an era of multiculturalism. Spelman College assistant professor of art history Yomi (Abayomi) Ola MA’05 has published Satires of Power in Yoruba Visual Culture (Carolina Academic Press), tracing these commentaries on colonialism and dictatorial and ineffectual governments — in masks, carvings, editorial cartoons, and photography — from the precolonial to postcolonial periods of Nigerian history. Ola lives in Atlanta. 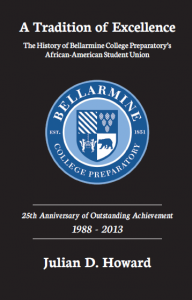 Julian Howard ’12 writes, “I am trying to be proactive and help others in my community through education.” Here’s how: as a 2008 graduate of Bellarmine College Preparatory High School, he began writing the history of its African-American student union — its first cultural club — in the form of A Tradition of Excellence: The History of Bellarmine College Preparatory’s African-American Student Union: 25th Anniversary of Outstanding Achievement, 1988–2013 (CreateSpace). 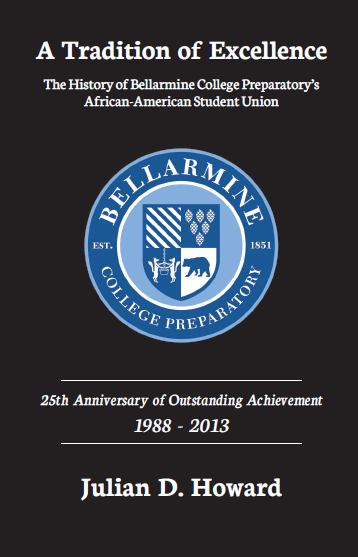 In doing so, he’s provided a never-before-told history of the club, discussed the school’s first African-American employee, and shared updates on prominent alumni of color from Bellarmine — the oldest high school in California and the second oldest Jesuit high school west of the Mississippi. Howard, of San Jose, California, is creating a scholarship fund for African-American students at Bellarmine with the net proceeds of this debut book. 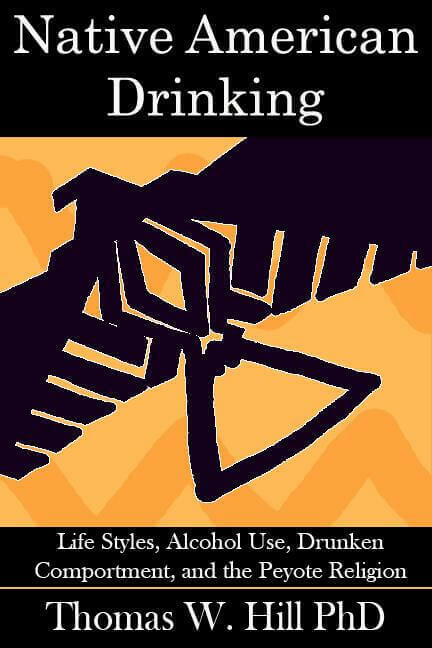 Thomas Hill ’66, an emeritus professor of anthropology at the University of Northern Iowa, has written Native American Drinking: Life Styles, Alcohol Use, Drunken Comportment, and the Peyote Religion (New University Press): a comprehensive look at the issue and a discussion of approaches to prevent and treat problem drinking. Hill lives in Cedar Falls, Iowa. 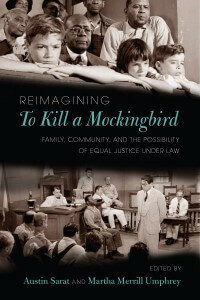 Fifty years after the release of the iconic film To Kill a Mockingbird, a collection of original essays takes a fresh look at the classic book that inspired the film through the “interdisciplinary lens of law and humanities scholarship.” Reiminaging To Kill a Mockingbird: Family, Community, and the Possibility of Equal Justice under Law (University of Massachusetts Press) is co-edited by Austin Sarat MA’70, PhD’73, the Cromwell Professor of Jurisprudence and Political Science at Amherst [Massachusetts] College. 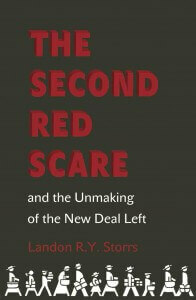 In The Second Red Scare and the Unmaking of the New Deal Left (Princeton University Press), Landon Storrs MA’89, PhD’94 uses recently declassified records to reconstruct the previously secret loyalty investigations to which government officials were subjected during the 1940s — well before Wisconsin Senator Joseph McCarthy’s infamous investigations. 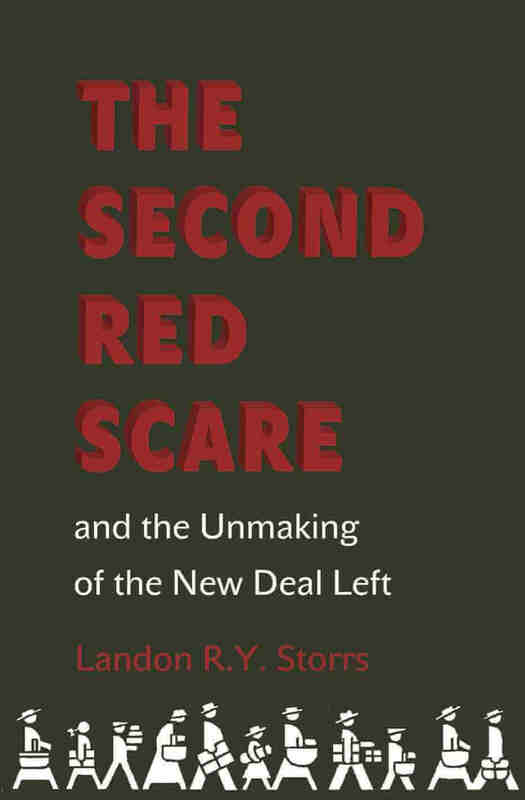 One reviewer writes that Storrs reveals “for the first time how conservatives silenced visionary social-democratic women and men, who came closer than we’ve ever realized to creating an inclusive America. 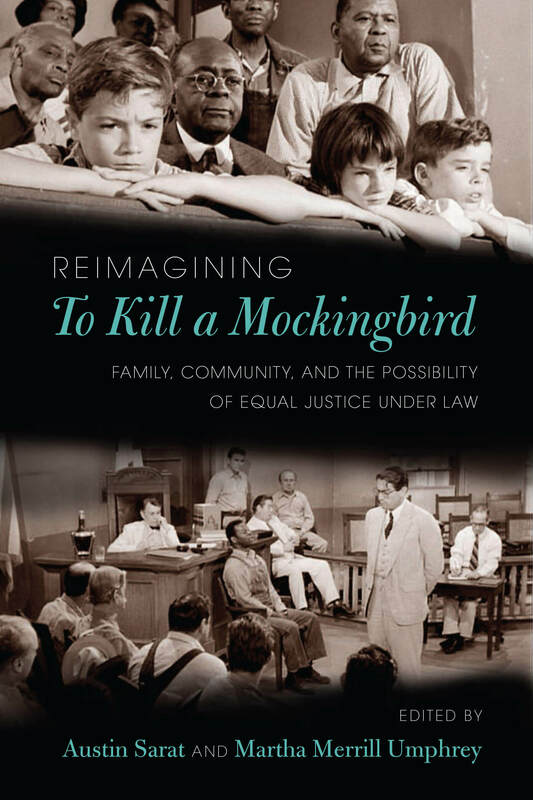 With heroic detective work, Storrs has uncovered a national tragedy of epic proportions.” The author is an associate professor of history at the University of Iowa in Iowa City. Travel provides much of the inspiration for Katie Kacvinsky ’03’s writing, which — following work in the entertainment industry, teaching high school English, and a stint at a magazine — is now her full-time métier. So far the Corvallis, Oregon, author has published Awaken and its sequel, Middle Ground (both Houghton Mifflin); First Comes Love (Houghton Mifflin) and its sequel, Second Chance (CreateSpace); and she’s in process on two additional books to follow these.